MARGO GURYAN — SUNDAY MORNING – IS YOUR CLAM IN A JAM? 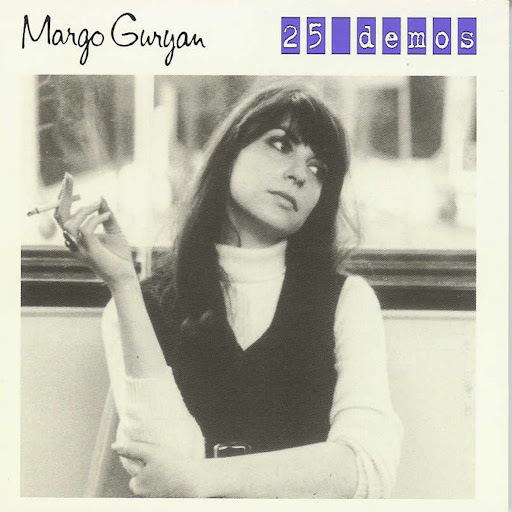 Margo Guryan started her career in the late 50s as a jazz writer, but her musical life changed around pretty drastically after hearing God Only Knows and the whole of Pet Sounds. Seeing there was more fun to be had with music than with jazz she started composing what would later be dubbed sunshine or baroque pop. Using melodies and harmonies, while still keeping some of her jazz roots she recorded an album worth of material in 1969, Take a Picture but refused to tour to back it up, leading the label to drop any promotion for it. Sunday Morning is a soft psych jazz gem that’s like opening your eyes in the morning next to your lover and remembering that today you’ve got nothing to do, and nowhere to go. You close your eyes and together elevate to a higher plane, forgetting the worries of everyday life. You float away in a white world under the bedsheets where time is a dimension that’s not been discovered and as your sheets float away you find yourselves as particles of light, shining like a sun ray through a pine tree and onto an endless beach where mondays don’t exist. Check out this demo of Sunday Morning released on Burger Records below and go get Take A Picture HERE. Pingback: RIDING THE COMETS IN THE BACK OF YOUR MIND | IS YOUR CLAM IN A JAM?